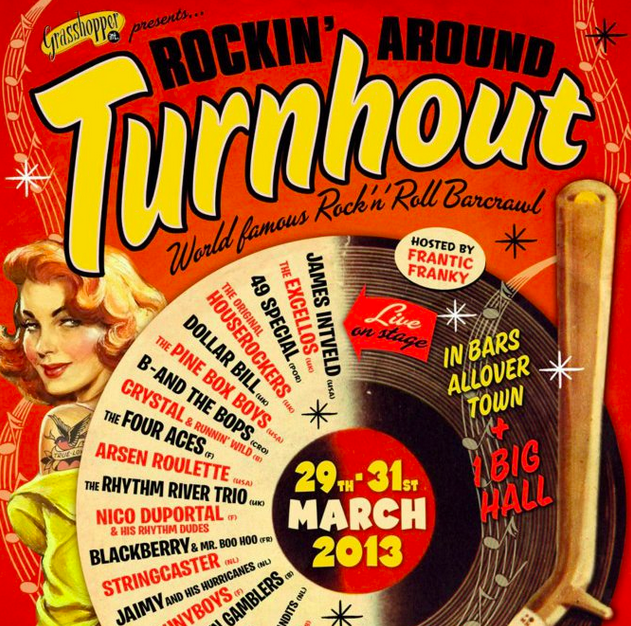 During Easter I escaped from this never-ending Berliner Winter and jumped into one of the most iconic Rockabilly festivals in Europe: Rockin’ Around Turnhout. Yes, I know… my blog should be about Berlin and now here I am talking about a small city in Belgium… But I think it won’t harm anyone if I share with you some information and experiences about other cities once in a while, right?! Turnhout is a small, quiet and “boring” Belgium city almost all year long. But every Easter, for already 18 years, rockabilly cats and kittens invade the town! And it becomes a real wild rockin’ sin city. Is not every day that you have the chance to see more than 15 single concerts in one night, all in different locations. And this is what Rockin’ Around Turnhout is all about. On Sunday you can walk from bar to bar, which some are really door to door, and discover many bands and their different sound and style. It’s a great way to meet new people too, hang around with great old friends and discover together as many kinds of beer you can handle on one weekend. I also learn some Flemish sentences but they aren’t proper to post. You’ll be shocked, I guess! 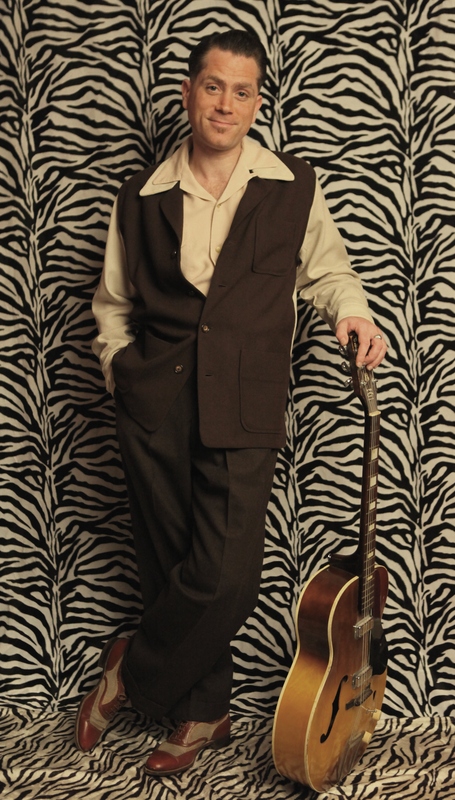 He takes his inspiration from the Black roots of Rock’n’Roll, as well as the popular Afro-American music of the 50’s, including the early Rhythm & Blues and, swing . Nico’s music has just one goal, to get people dancin’ and to shake them up in every sens of the term ! And guys, what a show! They are great musicians and Pedro Serra, the singer, is one of my favorite entertainers ever. I’m not a country music lover – actually, I’m the opposite – but I admit: I like the album very much. I’m specially in love with “Can’t Get You Off My Mind” and “Cherokee Squaw”. They have an extraordinary sound inspired by good old Soul, R’n’B and Beat tunes. They are the new big thing of Migraine Records, a German record label that will turn 5 years old next 13th of April. I already have my ticket for their anniversary party at Roter Salon in Berlin. Wanna join? Previous Post I survived the Vintage Dance Adventure! Next Post Happy International Dance Day!